HAPPY EASTER! Why not celebrate the day with a special interval "Jump Start" workout--and enjoy not just one but TWO Easter egg hunts as part of the fitness routine? Eggs are filled with gemstones, words of wisdom, and you could even win a session with William Kelley!!!! $8 drop-in fee! No advance sign-up is necessary. (And stay for a special edition of Yoga/Relaxation at 10:30 AM!) Hope to see you there! Join instructor William Kelley for this special edition of "Yoga/Relaxation" class on Sunday at the Pyramid Holistic Wellness Center to help your body release winter blah energy and welcome the new spring energy! (This is a gentle yoga class but easily modifiable for any level participant) $8 drop-in fee. Our animal friends can be more than pets...more than family, even, and to those who are not "pet people," it can be very difficult to understand why the loss of an animal companion can effect us so much. For anyone who has lost a dog, cat, bird, fish, reptile, iguana, sheep, or any other type of animal, this is a one-hour place for people to gather and share. Gently structured, this is not therapy, but a safe place to connect with others who feel the loss of animals. There is no fee to participate (donations welcome) but advance sign-up is appreciated. Let’s celebrate Mother Earth Pyramid style! Join William Kelley for a special meditation experience honoring the cycles of nature and Spring! $8 drop-in fee. This event will take place in either the Salt Garden or the Ballroom Studio. 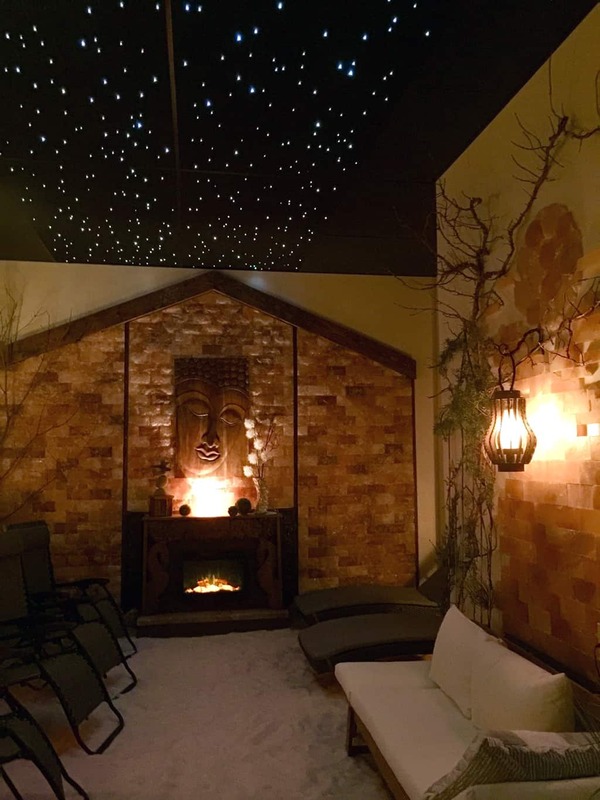 Sound is an easy way to get your body into a state of deep relaxation, healing and helps to connect you with that quiet place within. Sound healing is a powerful method that uses vibration to retune the body/mind/spirit by balancing the flow of energy through the chakras and meridians, bringing about deep relaxation, energizing the physical body and clearing the emotional body so that a renewed sense of ones vitality, clarity and joy can be accessed. 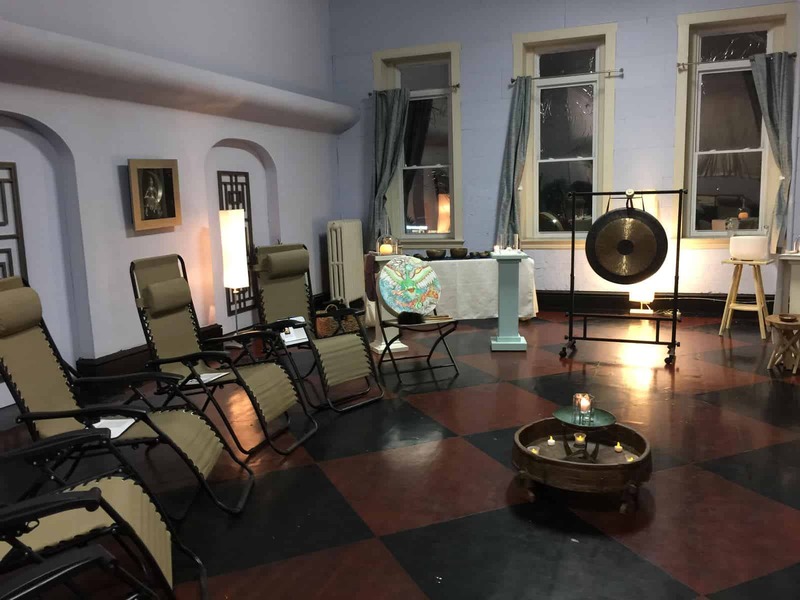 Relax in zero gravity chairs and feel into the sounds of drums, rattles, singing bowls, gongs and chimes. Intuitive voice will also be used to add another layer of vibration. This session is meant for deep relaxation and any intentions you may carry in the privacy of your heart. Let the sound be the carrier wave of your positive intentions. Please call 802-775-8080 or register online (https://www.eventbrite.com/e/relaxing-balancing-group-sound-tickets-59980189361) to reserve your spot. Advance sign up is required. $15. "The Secret" often gets credit for introducing the world to the Law of Attraction, but it has been around since the beginning of time and throughout history, many theorists have taught the secret to happiness--using your thoughts to create the exact life you want. It's more than simply wishful thinking or being positive--if you know how the Law of Attraction works, you can shape your thoughts and attract whatever you like--money, love, respect, kindness, gratitude. Life can be as wonderful as you want--and you deserve it all! However, modern humans are programmed to think there is lack, that they cannot have what they want, they do not deserve it, or they are selfish if they put themselves first. People believe they are in competition for what they want, when all they have to do is ask. Add to that the excitement of what is happening currently on the universal plane, and manifestations have the potential to happen faster than ever! As they say, be careful what you wish for! In this workshop, we will look at the mechanics of how the Law of Attraction works, look at what is happening NOW in the area of Law of Attraction, and workshop ways that we can all support each other to create the life we want! Space is limited. Please sign up by calling the Pyramid at 802-775-8080 or visit Eventbrite: https://www.eventbrite.com/e/law-of-attraction-in-2019-workshop-tickets-56717359148. $30/person. A Pyramid retreat to nourish yourself and build community! “Awakening” means “an act of waking from sleep, becoming suddenly aware, or experiencing the beginning of something.” Humans are experiencing spiritual awakenings at a remarkable rate, and yet many have the awakening in silence, struggling to understand what is happening and how it will impact their lives. A spiritual awakening can be a beautiful thing, but can also be incredibly disruptive and perhaps even destructive to one’s life. Many people are afraid they are going “crazy,” or concerned that people in their lives now will no longer accept them or their new gifts. Historically, the resources available to those “awakening” have been extremely limited. Where do you turn when you are going through such a shift? The Pyramid Holistic Wellness Center in Rutland, Vermont is very pleased to offer a weekend retreat to help people understand and successfully maneuver through an awakening—providing a safe environment to explore what it means to have an awakening, outline what one might expect to happen physically, emotionally, and spiritually, provide helpful education, and to build a network of support that will continue long after the weekend ends. For full retreat details, agenda, and registration, please see the full listing: https://www.facebook.com/events/815947545432764/. GOT AN IDEA FOR A WORKSHOP OR SPECIAL EVENT YOU WOULD LIKE TO HAVE AT THE PYRAMID? Please contact kelleyw@pyramidvt.com to start the review process!